The CRYO FREEZE EYE GLOBES. The ultimate Professional tool designed for the puffiness, wrinkles and calming . Made for the delicate eye area. Much stronger made out of quartz glass. The CRYO FREEZE EYE GLOBES. The ultimate Professional tool designed for the puffiness, wrinkles and calming . Made for the delicate eye area. Much stronger made out of quartz glass. Much stronger made out of quartz glass. PLACE THE CRYO FREEZE EYE GLOBES IN THE FREEZER OR REFRIGERATOR. APPLY THE CRYO FREEZE EYE GLOBES BY GENETLY ROLLING THEM IN A CIRCULAR MOTION THROUGH OUT THE ORBITAL EYE SOCKET FOR A FEW MINUTES. GENTLY PAT THE CRYO FREEZE EYE GLOBES ON THE BOTTOM PORTION OF THE EYE AND RELEASE RESULTING IN REDUCED LINES AND WRINKLE AND LIFTED SKIN. 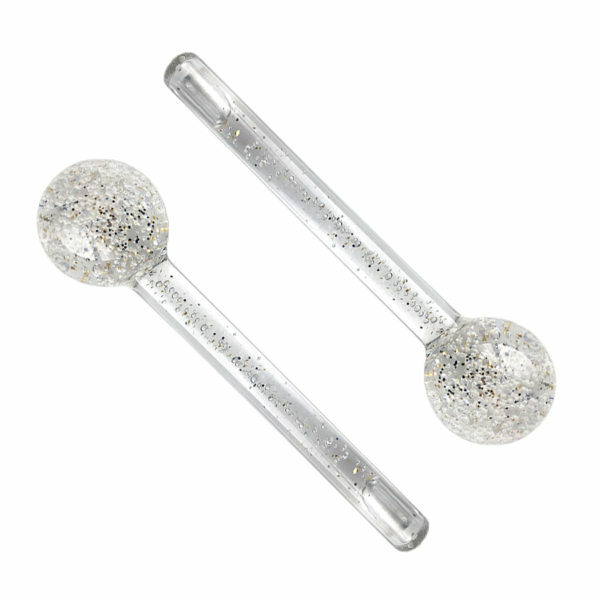 CLEAN THE CRYO FREEZE EYE GLOBES WITH RUBBING ALCOHOL AND PLACE THEM BACK IN A COLD PLACE, YOU CAN EVEN KEEP THEM IN A BOWL OF ICE, MAKE SURE TO DRY THEM & CLEAN THEM BEFORE USE.MADE OF QUARTZ GLASS, THESE CRYO FREEZE EYE GLOBES ARE VERY DURABLE AND HOLISTIC.